I can´t believe that we are so close to the Christmas and by the way I can´t believe I am so close t my graduation. These last days are been insane with all that I have to organize in my mind sincerely few hours ago I was sleeping in my bed trying to sleep to until the next march but that is not the reality. I have my responsabilities here in my blog and I am completely conscious about that. In another matter I am so close to the the blog Anniversary and I am thinking about celebration. But like the holidays are so close today I want share some gift ideas from Sevengrils. What is the first word that comes to your mind when I talk about Christmas Gifts? The mind is cute or ugly sweaters. And yeah for this season the sweaters are a must have. 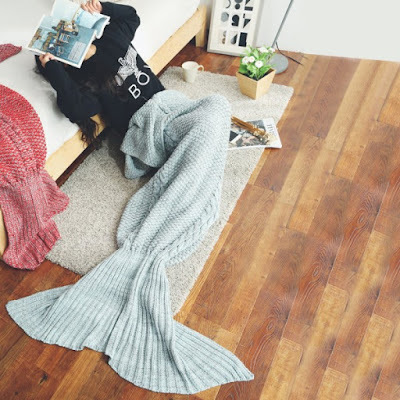 By the way I found these mermaid blankets so cute and perfect for read during the Christmas day. Probably one of my favorite activities is to read a good book that day. I found really cute sweters at this webstore online like a great variety of dresses and that is one of the principal reasons because I decided share today two cute sweaters. The red one because the red is perfect for Christmas and the black one because the black is my happy color all the time. And the last but not the least important a cute dress that I wanted share. Because for me that I love the cute dresses and If I receive a dress like a gift could be a great reason because like is not weird from me I choose a dress with black. And I am thinking I need incopore more colors to my clost. Like these and more you can find great items not only women clothes but beautiful accesories, bags, cosplay items and super great deals. So I want invite you to visit this webstore and like always I want to know you opinions about my choices. I love that first xmas sweater! sooo cute! 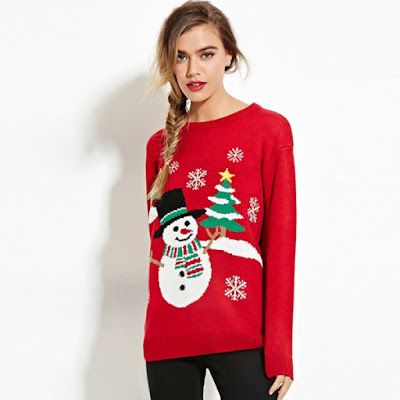 These Xmas sweaters are so cool! This mermaid tail is soooo beautiful! The mermaid blankets look so cute! Fun ideas! Oh very cute sweaters great webstore. Wonderful, I love the first sweather !!! Great suggestions, Sakuranko! And my favorite is the red one, too! I'm so happy to know that you are so close of your graduation! You deserve it! You worked so much!!! A big kiss, Sakuranko! Happy Holidays! Mermaids and reindeer and snowmen oh my :) All so adorable! Very good suggestions! if it were my turn to make a gift for Christmas, you would give one of those sweaters that are so beautiful! Thank you! For work we have to wear a ugly sweater this Thursday! Today I'm going to H&M to check one out. 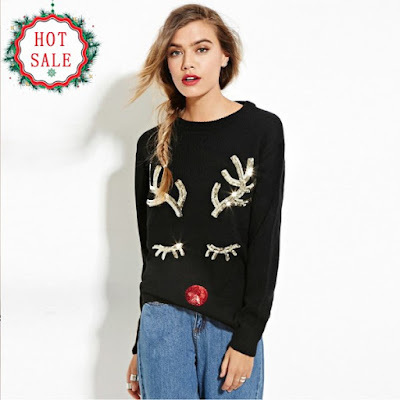 Do not want to pay big bucks for an ugly sweater, which I'm sure only going to wear once! haha. :) But, I love the idea that every teacher on Thursday is going to wear an ugly sweater. Looking forward to all of those crazy looking pictures. haha.